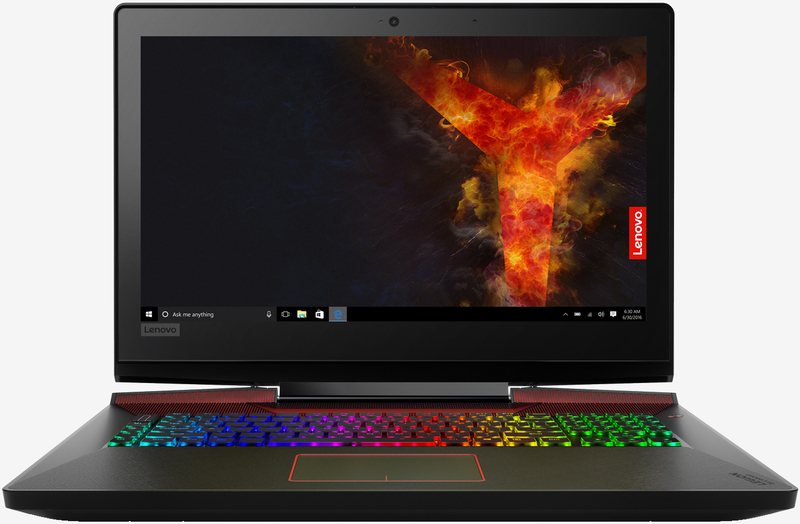 Lenovo earlier today expanded its gaming laptop family with the introduction of the Legion Y920, an enthusiast-grade machine packing some seriously powerful hardware (albeit at a premium price point). The Legion Y920 is a VR-ready system equipped with a 17.3-inch FHD (1,920 x 1,080 resolution) display utilizing Nvidia’s G-Sync technology. It’s powered by Intel’s seventh-generation Core i7-7820HK quad-core (eight-thread) processor clocked at 2.9GHz (Turbo up to 3.9GHz) alongside 16GB of RAM and Nvidia GTX 1070 discrete graphics. A 512GB solid-state drive is used as the primary drive although there’s also a 1TB traditional hard drive for less performance intensive / storage purposes. Lenovo’s latest also includes a mechanical keyboard with RGB lighting, dual 2W JBL speakers with 3W subwoofer, 720p webcam, Killer Wireless-AC 1535 and Killer LAN, a 6-cell, 90Wh battery and more. Connectivity-wise, you get four USB 3.0 ports, Thunderbolt 3, HDMI, a DisplayPort, Bluetooth 4.0 and a 6-in-1 card reader. Be prepared to do some heavy lifting, however, as the Y920 isn’t exactly lightweight at 10.14 pounds. Then again, that’s par for the course as high-end gaming laptops aren’t synonymous with being lightweight. It measures 16.7 inches by 12.4 inches by 1.41 inches and is primarily constructed of ABS plastic. The Lenovo Legion Y920 starts at $2,699.99 and will be available online from June.